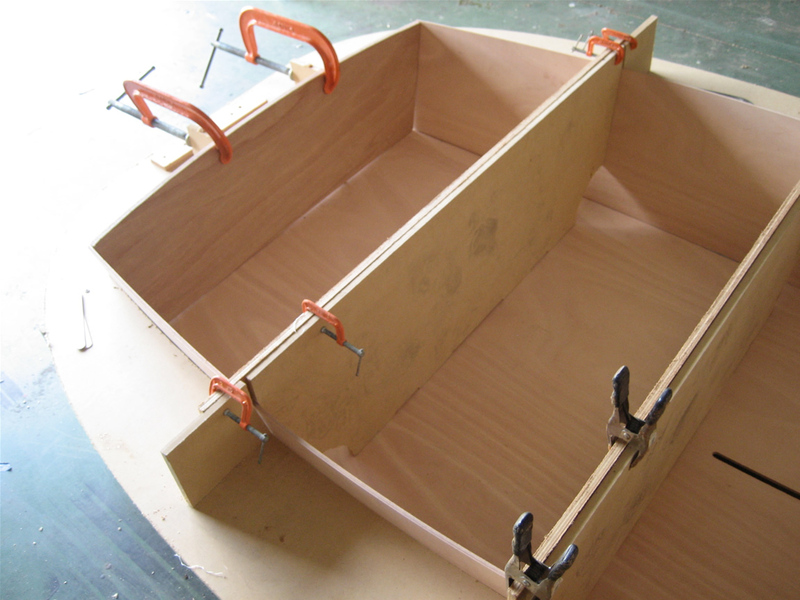 Clark Mills designed the original Optimist Pram in 1947. 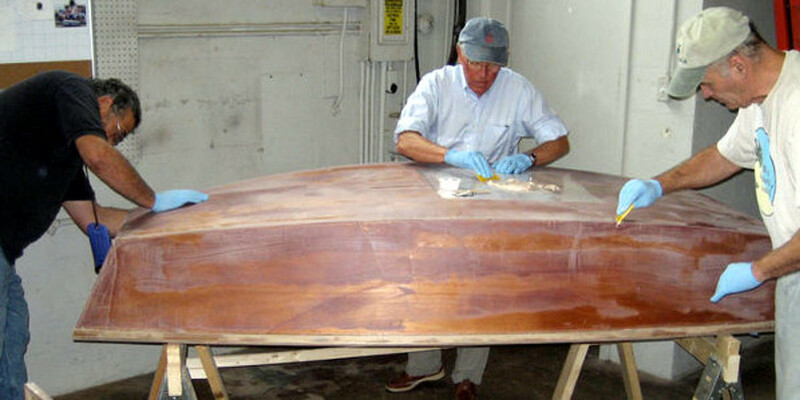 His intention was to offer a simple boat that children could use to learn to sail and build themselves. 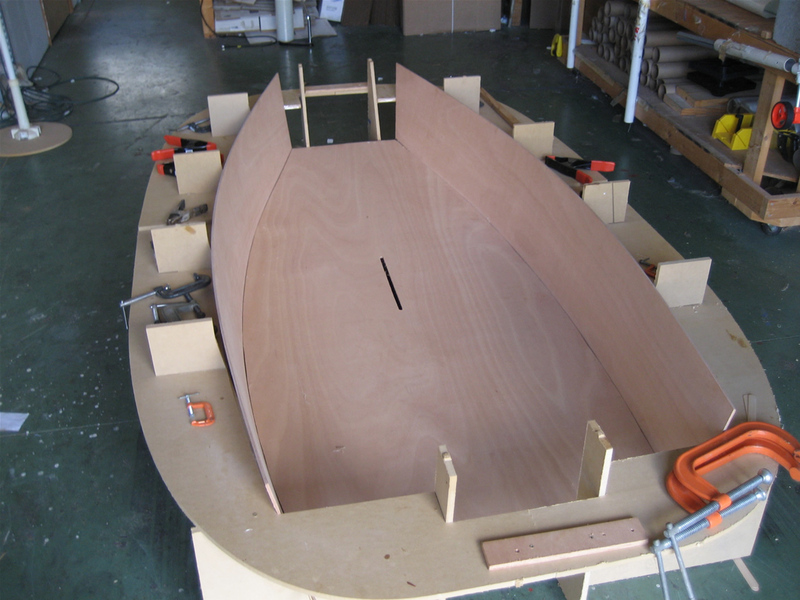 It was the biggest hull Clark Mills could make from two 4 ft by 8 ft sheets of ply. We chose to name our version of the Optimist the "Club Racer" to reflect the original idea behind the design. 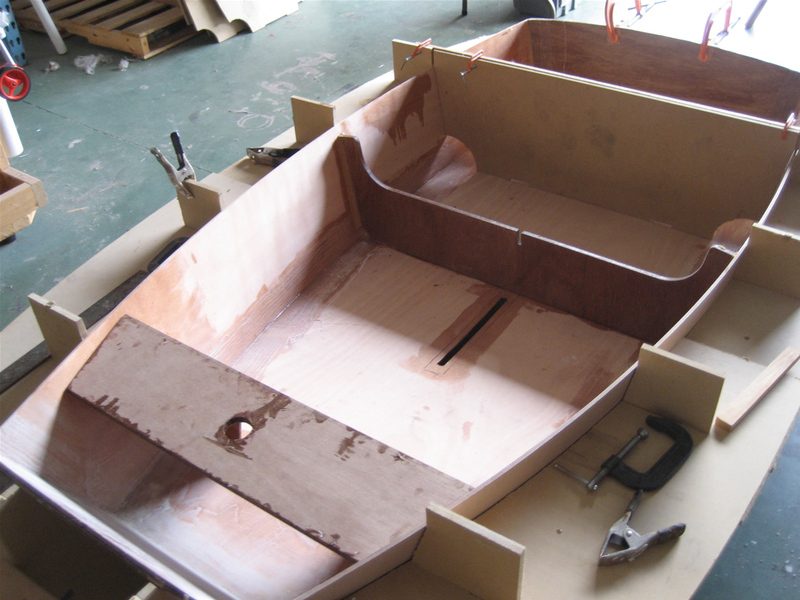 The Club Racer is the same as the epoxy/wood version of the Optimist as described by the IODA standards to within 99%, however it is much easier to build and will be stronger and last longer. NOTE: There are no plans for the Club Racer, only a kit which includes detailed building notes. 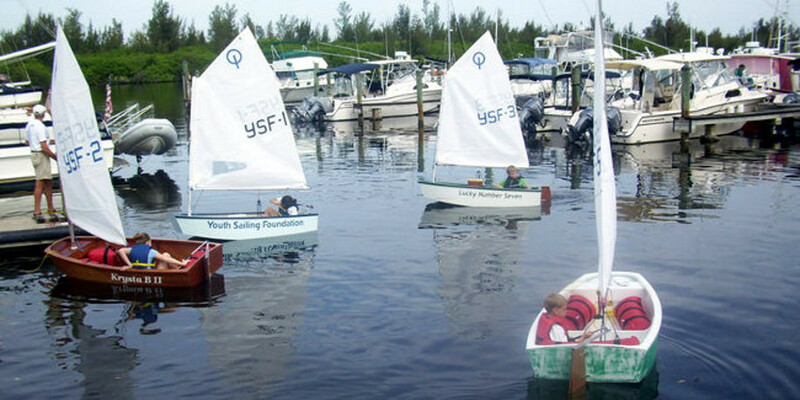 Now your sailing club can involve your youngest sailors in a project where they build the craft on which they will learn to sail. Then they go on to race against one another on the world's most recognized sailing craft. The Optimist is sailed in over 120 countries and it is one of only two yachts approved by the International Sailing Federation exclusively for sailors under 16. The Optimist is the biggest youth racing class in the world. In 2009 we were approached by a group of local volunteers who were starting a youth sailing club. 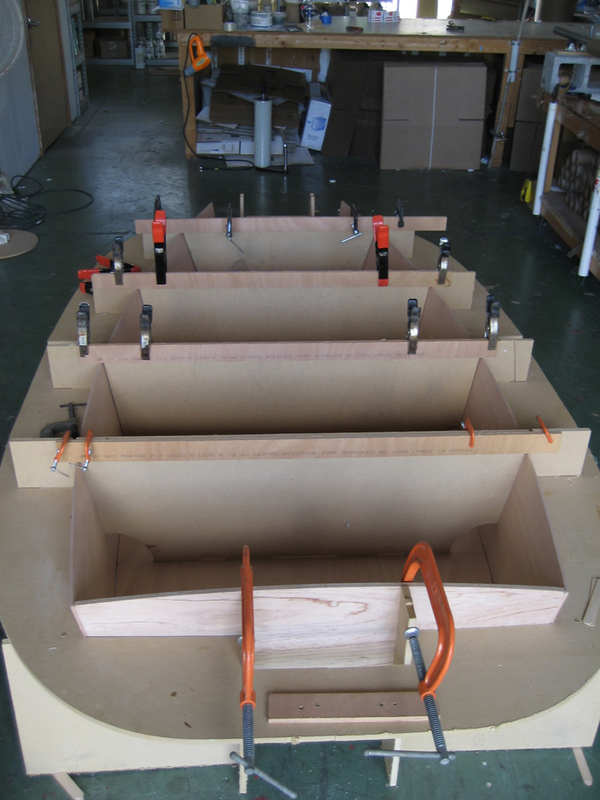 Part of their idea was to have the young sailors build their own boats. We agreed to help them with the boat building portion. The Optimist was the natural choice as they wanted to compete against other clubs. 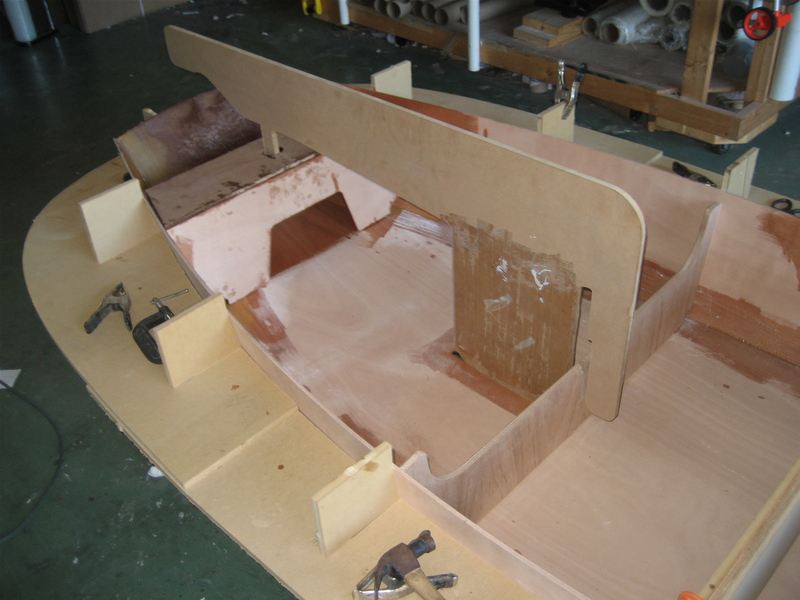 This page has links to all the detailed information, tips, tricks and actual club reports on building the boat(PDF document). We provide after sales support via our forum where you will get all the help you need while you build. 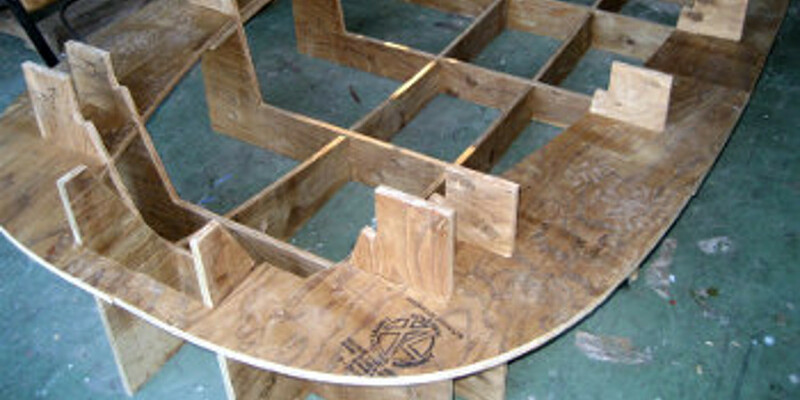 The building notes are very detailed making this a project that first time builders can undertake without fear!